1863 U.S. Flag. 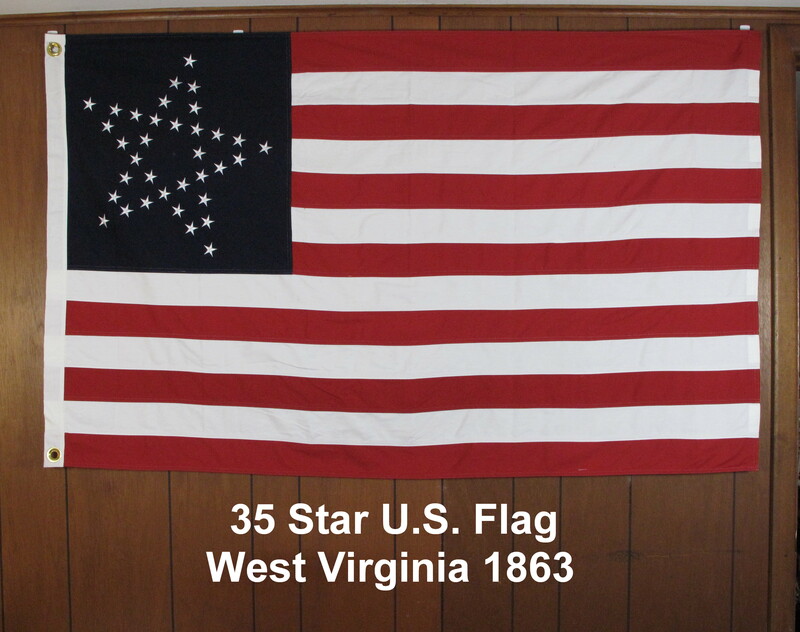 Introduced July 4th, 1863 when West Virginia was admitted as state number 35.
rows. Both flags are nicely done. Satisfaction guaranteed. Fully refundable for 10 days upon receipt.